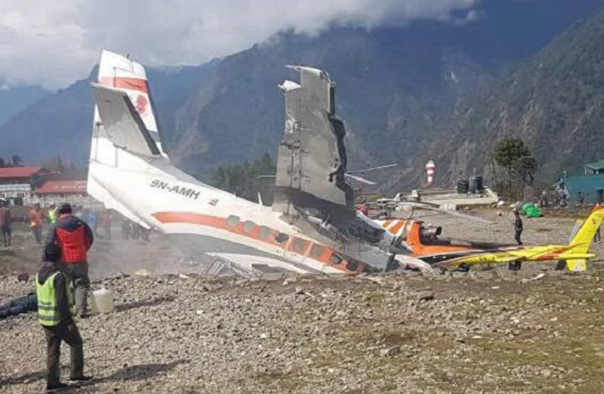 LUKLA, April 15: A co-pilot of Summit Air and two police personnel died when a Twin Otter plane skidded off the runway and collided with a parked helicopter at Lukla airport on Sunday morning. Three of the four crew members and ground handling staff who sustained injuries in the crash are undergoing treatment in Kathmandu. “The plane veered off the runaway before crashing into a parked helicopter of Manang Air. The helicopter was in the parking lot,” said Rana. Nepal Police identified the deceased as Ram Bahadur Khadka, a tourist police officer, Sujit Dhungana, co-pilot of Summit Air and Rudra Bahadur Shrestha, an assistant sub-inspector of Nepal Police. While Khadka and Dhungana had died on the spot, Shrestha had died while undergoing treatment at Grande Hospital in Kathmandu. Rana said that the police personnel were on duty when the accident occurred. An airport official who sustained minor injuries was sent home after receiving first aid. Other injured crew members and ground personnel including Manang Air Captain Chet Bahadur Gurung have been brought to Kathmandu for treatment. “I am absolutely shocked. This is a very difficult moment for all of us at Summit Air. Our first priority now is the well-being of the injured persons and family members of those affected by this unfortunate accident,” Manoj Karki, managing director of Summit Air, said in a statement. Regular flights were disrupted after the airport was shut down for a few hours following the accident. Nepal Police spokesman Uttam Raj Subedi said that the police, airport staff and passengers had extinguished the fire soon after the incident. “Two teams of police personnel had reached to the site shortly after the crash. 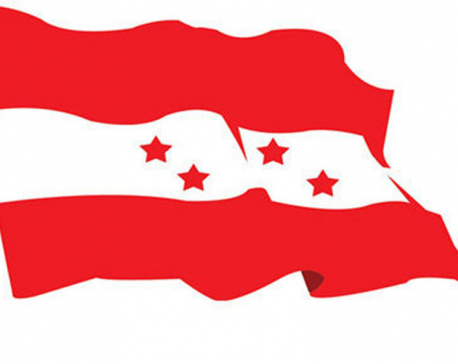 The airport reopened after the team took control of the fire,” said Subedi. Lukla Airport, also known as Tenzing Hillary airport, is considered one of the most dangerous airports in the world, mainly due to the shortness of the runaway, difficult terrain and unpredictable climatic condition. The airport, which is located at 2845 meters, only hosts helicopters and small fixed-wing aircraft. Two pilots had lost lives after the plane slipped off the runaway and fell off a cliff in 2017. In May 2017, a cargo flight was landing in Lukla when it lost altitude and crashed into a mountain below the runway, killing both pilots. Sunday's crash, the latest aviation disaster to hit the country, has once again brought the air safety issues to the fore. It is expected to further hit the credibility of Nepal's aviation sector. 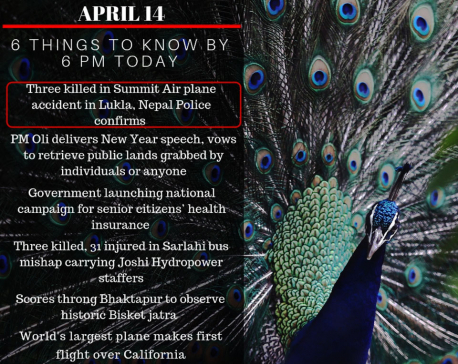 In February, seven people including the tourism minister had died in a helicopter accident in eastern Nepal. In March last year, a US-Bangla Airlines plane crashed near the runway of Kathmandu airport, killing 51 people.